Voters in Saturday’s NSW election have been inundated with announcements and news articles as an essential debate about how best to protect public health in the face of new and dangerous drugs rages. The societal fear that has arisen following successive festival deaths from pills of unknown substances is understandable. Pill testing has become a key issue in the NSW election campaign, as have calls for better monitoring and managing the supply of prescription drugs. These drug-related issues are important because they impact the health of our young people and our communities. However, I cannot help but wonder whether the emphasis on illegal substances, prescription drugs and pill testing, has a secondary aim, and that is to mask the lack of action from major parties on the drug that causes the most harm year after year in NSW, alcohol. In the first four weeks of the new NSW government, the predicted toll will stand at three people dead due to ice, and 150 dead due to alcohol. So why doesn’t this drug called alcohol, which causes multiple cancers and hundreds of diseases, not to mention killing thousands in our community, get more than a passing mention in the NSW election debate? In the past few weeks, one government in this country, the Northern Territory Government, has been lauded for its strategic leadership in alcohol policy planning and the implementation of harm minimisation strategies and measures. At the other end of the scale, NSW has been judged the nation’s worst performing jurisdiction on alcohol harm prevention, receiving the 2018 “Fizzer Award” from the National Alliance for Action on Alcohol (NAAA). The NSW Government received the Fizzer for 2018 because it doesn’t have an alcohol strategy in place, it has failed to introduce several recommendations arising from a review into alcohol advertising and there is concern about the level of alcohol industry influence in the state’s alcohol policies. Would a change of Government fix the problem? In an effort to pin down the political parties on their future policy directions, the NSW/ACT Alcohol Policy Alliance (NAAPA) wrote to the leaders of the major NSW political parties last month asking for their stance on five key alcohol initiatives. Formal responses were received from the Liberal/National Coalition, the Australian Labor Party NSW Branch and Greens NSW. Produced as an Election Scorecard, the results came back with some ‘promising’ indications of in-principle support for alcohol-related measures; however, none of the responses lived up to the political leadership shown by the NT Government to decisively act on alcohol harm. 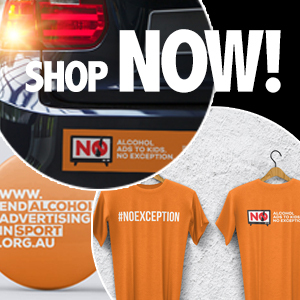 NSW Labor and the Coalition both expressed support for raising awareness of the harm from alcohol but neither party was willing to actually commit to fund an alcohol harm awareness campaign. Meanwhile the NSW Greens scored well on advertising and awareness, but failed to back the life-saving last drinks measures. Lack of awareness is a massive reason why governments, the media and therefore the community fail to grasp the danger that alcohol presents. But people do want to know. More than 80 per cent of NSW adults believe they have the right to know about alcohol’s long-term harm and 77 per cent believe the government has a responsibility to educate them about those harms. My fear is that alcohol harm is not an election issue because it seems too difficult for politicians to delineate the depth and range of harm from a drug that has legal status in this country. It is not seen as a “quick fix” that appeals to potential voters. But this underestimates the impact that alcohol has had on NSW voters and the desire for action. When FARE polled NSW residents in 2018, 72 per cent said that more needed to be done to reduce alcohol-related harm. It is incongruous that promised drug measures are ‘trending’ as vote winners, yet there is such disparity in the extent of harm between legal and illegal drugs when it comes to death and injury. To throw in yet another stark statistic, every month there are around 4000 hospitalisations caused by alcohol compared to 420 methamphetamine-related, and similarly Emergency Department presentations for alcohol are more than 1100 compared to 360. The incoming NSW Government is now on notice to not let NSW fall further behind the rest of the nation in addressing alcohol and safeguarding the community beyond the vote. A sound summation of current state of play in NSW regarding the prioritisation of alcohol harm prevention and minimisation. Our concern is that the dominant undue influence of the powerful alcohol and gambling industry on both the govt and opposition may only escalate after the election with public health and safety interests coming a long distance last. We must insist that the current disenfranchised genuine voices of local communities, public health interests and emergency workers are afforded an equal and fair say as those of the alcohol and gambling industry, at all future policy/law deliberative processes regardless of whichever political parties control the balance of power in NSW.